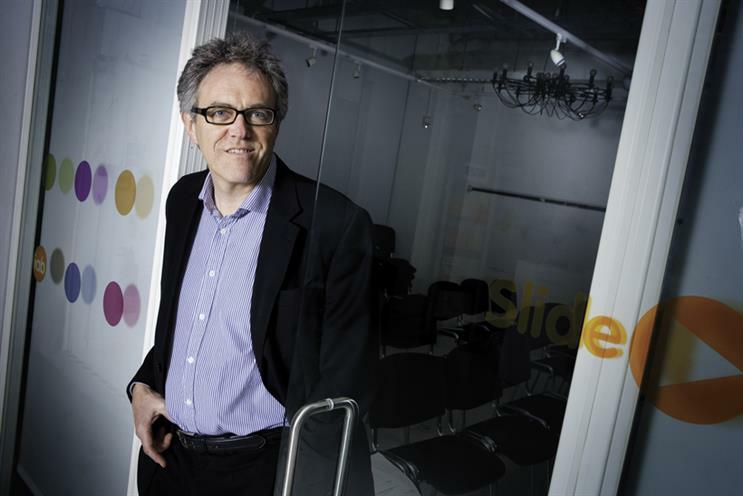 Guy Phillipson, the outgoing chief executive of the Internet Advertising Bureau, looks back on the highs and lows of steering the industry through a 12-year period of transformation - and makes some predictions for the future. On 28 October 2005, it was Bill Gates’ 50th birthday. But rather than take the day off and enjoy a big party, the Microsoft founder kindly agreed to be our keynote speaker at the very first IAB Engage conference in London. Of course, the richest and highest-profile businessman in the world doesn’t just say "yes" to an email invite. We had to put a detailed business case to his central communications department and comply with a seriously stringent set of security checks. If you were lucky enough to be there on the day (and I can’t tell you how many begging letters I got for tickets), you’ll know the atmosphere in the room was electric. Gates fluently delivered his view of the future of the living room and correctly predicted that the DVD and CD would be the last physical formats for film and music. But the best bit for us was when our chairman, Richard Eyre, who was allowed to pose just one question, asked Gates why online advertising was growing so fast. And then came the immortal answer: "Well, when you think about it, the future of advertising is the internet." Thank you, Bill. The first IAB Engage conference was also addressed by Sir Martin Sorrell, Christine Walker, Nigel Sharrocks and Lord Puttnam – who made a big play for training and skills in our sector. It really put digital advertising on the map – and somewhere on the agenda of most major marketers. That was the single biggest objective of the IAB in my first three years as chief executive. I had come to the IAB from Vodafone, where online had represented about 5% of my £65m UK media budget. We had even won a gold at the Media Week Awards for a rich-media mobile gaming ad for Vodafone Live!. So during my 100-day review at the IAB, when meeting marketing directors, I was a bit surprised to find that most were pretty sceptical about online advertising. "Where’s the reach?" "It’s too complex." "How do I measure it?" "How do I know what my customers actually do online?" And the killer quote: "If the TV’s good, our managing director is happy." But the good news was that the early-adopter categories – finance, travel, technology and telecoms – could see the benefits, particularly of search, affiliates and direct-response advertising, which led the initial phases of growth. But convincing brands – especially those elusive FMCGs – to advertise online would require the provision of some hard evidence. And this, ironically, is where television came in. Just as we were entering the depths of the 2009 recession, the IAB partnered Thinkbox (TV was suffering big declines at the time). We co-funded a major piece of research, called TV and Online – Better Together, with brands such as Ford, Churchill and Cadbury, and proved that when the consumer had seen ads in both media (as opposed to just one), the average uplift in all brand metrics was 18 percentage points. That’s massive. Lo and behold, consumer goods expenditure increased and the category gradually became the top spender – today it accounts for nearly 20% of online display revenue. When the BBC’s Panorama comes calling for comment, you know it’s likely to be a challenge. I had been in office for less than a year, when we were shown screenshots of ads for household brands, such as Tesco, Barclays and Marks & Spencer, on a violent site called OnlyFights.com – clearly a result of the blind buying of very cheap inventory on ad networks. I agreed to go on the programme to explain that the innocent advertisers had no idea how their advertising ended up there, and that the industry would put in place a code of practice for agencies and networks to stamp out the problem. And so the Internet Advertising Sales Houses’ Code of Conduct was born. Offering pre-vetted inventory audited by the Audit Bureau of Circulations, it was the world’s first safety-assurance programme for brands. The code restored confidence and helped networks increase their share of online display advertising to 50%. Today, JICWEBS (the Joint Industry Committee for Web Standards in the UK and Ireland) governs additional standards for content verification, viewability and anti-fraud, working to build trust and protect the market. During my time at the IAB, I have been privileged to help the market navigate a media revolution. From the early days of banners and buttons to the introduction of video, social, mobile and native, online advertising has offered an unparalleled canvas for creativity and customer engagement. Add to that the "plumbing" of programmatic ad trading – powered by rich consumer data – and in just a few years we have witnessed a transformation in marketing. The UK is way ahead of most other developed markets in terms of its infrastructure and sophistication, which (almost) match the sophistication of the digital-savvy population. No wonder digital now accounts for nearly half of total media spend. Digital media has empowered consumers by giving them unprecedented choice, value and convenience, all on their terms. That is why the theme for Engage 2016 on 12-13 October is "Power and choice." This year’s event boasts an impressive line-up of brands and speakers, including Aviva, Morrisons, Mondelez International, Trip Advisor, Dr Hannah Fry and Caitlin Moran. And how’s this for a digital conference? More than half our speakers are senior women. Gates was bang on when it came to the future of advertising back in 2005 but, to quote another recent IAB Engage theme: "We’ve only just begun." It is on screens. Well over 90% of all ad impacts are already on screens – whether that’s TV, PC, mobile, outdoor or cinema. That figure will keep rising towards 100%. It’s video. There’s no better way to tell a brand story but be prepared to be vertical, silent and just six seconds long. It’s relevant. Intelligent use of data will enter a new league, combining behaviour, time, location and weather to deliver super- relevant ads. It’s on the consumer’s terms. Ad-blocking is a wake-up call, already leading to fewer, better ads – and higher-quality creative must follow. It’s useful and entertaining. The vlogger phenomenon demonstrates the power of branded content. We’ll see brands getting behind everything from online dating to virtual-reality gaming and even smart cities.